Many neighborhoods throughout the Phoenix, AZ metropolitan area have rooftop cooling and heating systems. 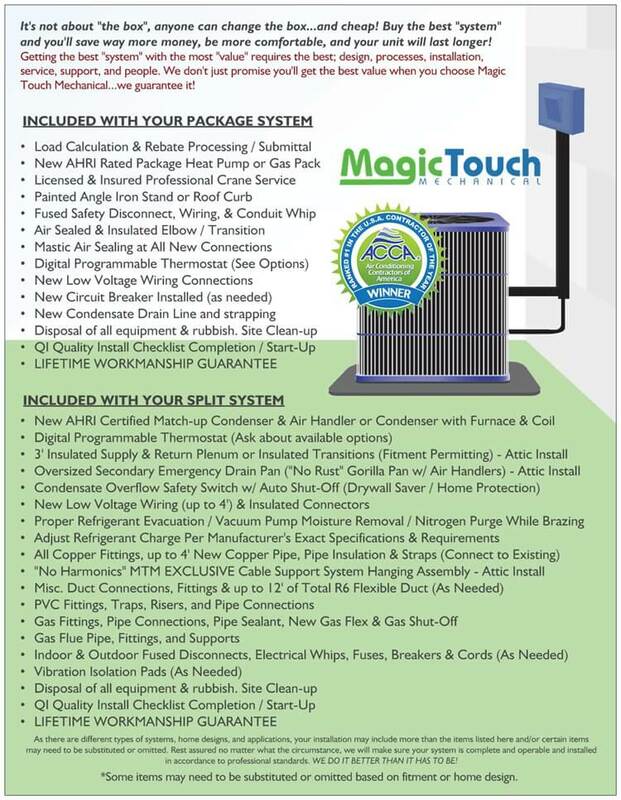 Known as packaged or package units, they contain all the components of a split-system central air system in one cabinet. Package units do have a few advantages over split systems, including lower upfront installation costs. Unfortunately, they do not achieve the ultra-effiency ratings of their split counterparts. The Trane XL16c packaged heat pump is one of the most efficient units in its class however so their is hope! Dual-stage aka two-stage packaged heat pumps, make a lot of sense in places like Phoenix, AZ where we have to size and design our air conditioning system to endure temperatures that can reach 120 degrees. That “size” may be what we need on those extreme days, however can be too much on say a 90-degree day. The Trane XL16c is a great example of a well-balanced 2-stage packaged heat pump. In Phoenix, AZ the minimum efficiency is 14-SEER (set by the US Department of Energy). 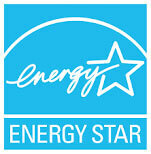 The Trane XL16c packaged heat pump is considered high-efficiency with its 16-SEER rating. *All sizes achieve 16-SEER with the exception of the 5-ton model which achieves 15 SEER. If you have been reading about other Trane air conditioners on our site you’ve probably noticed we are very big fans of Trane’s compressors. They are one of the few manufacturers who builds their own compressor. Most of their competitors install Copeland compressors in their equipment – also a great compressor in its own right, but the Trane compressor may very well be one of the best ever made. Trane’s two-stage compressor does exactly as the name implies – operates at two speeds. Think about it as a high speed for extremely hot days, and a low speed for days when we still need air conditioning but maybe not as much. Obviously this makes the unit run more efficiently but it also increases comfort for the occupants of your home. Another added benefit of dual-stage cooling is lower noise levels. When the compressor is running at low speed the unit operates quieter as well. The two-stage compressor, like the one found in the Trane XL16c is a worthwhile upgrade from the single-stage compressor. Two stage heat pumps provide a noticeable difference in both comfort and efficiency. Depending on the tonnage (capacity) of the XL16c package unit, you can expect relatively quiet operation for a rooftop unit. Decibel ranges of the 16c range between 70dB and 73dB. This means you can float out in your pool without this model disturbing your peace. 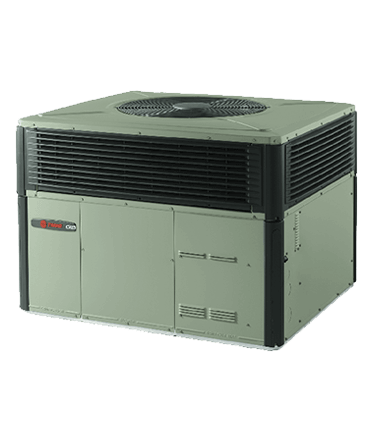 The Trane XL16c packaged heat pump is backed by a factory 10-year warranty on the outdoor coil and functional parts. It also includes an industry-leading 12 year limited compressor warranty. The XL16c is a very well engineered, designed, and built unit. It will withstand years of abuse from the sun, rain, and wind. Magic Touch Mechanical has installed hundreds of Trane XL16c’s on rooftops as well as ground mounted applications in homes throughout central AZ. They have proven themselves reliable and durable. The XL16c is one of the pricier packaged heat pumps on the market compared to others in this category. However, in our opinion it does deliver the bang for the buck one should expect for the price. How Much Does the Trane XL16c Cost? Installed pricing varies depending on where you live, and specific application. Expect complete installation of the Trane XL16c packaged heat pump to range between $7,000 and $11,000 including tax – before rebates, promotions, and local utility participation. (Depending on size, upgrades, factory rebates, tax credits and contractor promotions).